Inspired by traditional and contemporary folk music, Antoine & Owena create their own original blend of folk music that provides a feast for the ears, the heart and the feet. With Owena on fiddle, and Antoine on guitar, bouzouki, and tenor guitar, they captivate their audiences with their variety, showmanship, and good humour. Traditional. Modern. Vibrant. 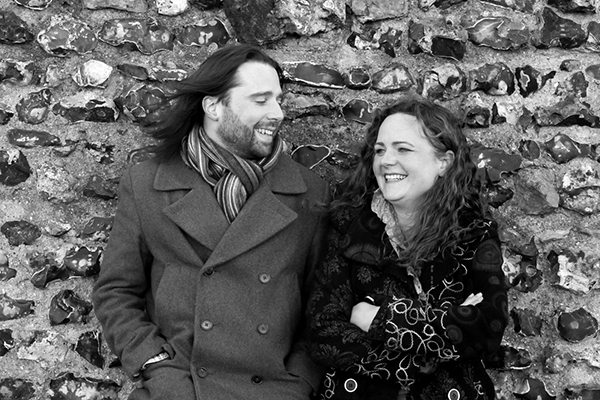 Inspired by traditional and contemporary folk music, Antoine & Owena create their own original blend of folk music that provides a feast for the ears, the heart and the feet. Combining original material with their own take on some traditional tunes, this Wiltshire-based duo of multi-instrumentalists delivers an eclectic mix of songs and instrumentals. With Owena on the fiddle, and Antoine on guitar, bouzouki, and tenor guitar, together with the use of vocal harmonies, they captivate their audiences with their variety, showmanship, and good humour. Their original material provides some great storytelling, and they execute some great renditions of some well-known and obscure traditional songs. Despite only having been performing together for less than a year, Antoine & Owena have already racked up an impressive CV. They recently won the Purbeck Rising competition at Purbeck Folk Festival 2017 and were booked for several other festivals off the back of that performance. In February 2018 they supported established folk acts Reg Meuross, and Eliza Carthy & Martin Carthy. They have also been confirmed for several established folk festivals in 2018. In February 2018 they released their self-titled debut 4-track EP, which is available to download from their website.